You are SO Much Closer to Love Than You Think. along with specific steps to help you use what you have already mastered in your life to go after – and find – YOUR Grownup Love Story. All from a woman who has been where you are, and is where you dream of being in your life. You need to know what I finally learned: you owe it to yourself to claim your beauty and strength as a Woman. And guess what? Bringing love into your life is not about changing. It’s about being more of who you already are. The qualities that you love about yourself are exactly what the right man will love about you. and move forward to find the kinds of intimate relationships they always wanted (but were often scared to admit). Within the first five minutes of reading, you will start feeling the HOPE and SELF-ASSURANCE this book has given so many other women who are just like you. GET YOUR BOOK RIGHT NOW! Go from being a pretty happy, very single gal to a one who is filled with hope and on the path to bringing love and commitment into your life. Use what you already know to start understanding, appreciating and meeting men…naturally and easily. Reading this book will fill you with the excitement of knowing that you can and will bring love into your life. No more fear for you, sister. After you read my book you will know the truth of who you are: a special woman with a deep well of strength, fortitude and boundless LOVE to give. I was feeling all those things. And wondering what was wrong with me. My life was pretty great as a single woman. I had a highly successful career, lots of nice stuff, fun travel and entertainment and a circle of friends that I cherished more that I can express. Like you, I had a wish – a wish I often kept secret – to finally meet the man who would become my partner in every sense of the word. I always thought I was trying my hardest to make this wish come true…which made being so single even harder. I was so smart but couldn’t figure this out! I was stuck, with no freaking idea what I had to do to change things. I didn’t want to grow old and die alone…and knew I was heading that way. Finally, in my early 40s, I learned that I was being dishonest with myself. In ways I finally came to understand, I was deceiving myself into believing that I was making the best effort possible to realize my dream of finding my special man. I wasn’t doing my best. I was hiding. I was blaming. Fear was steering my ship. THIS was the hardest and the best lesson I have ever learned. 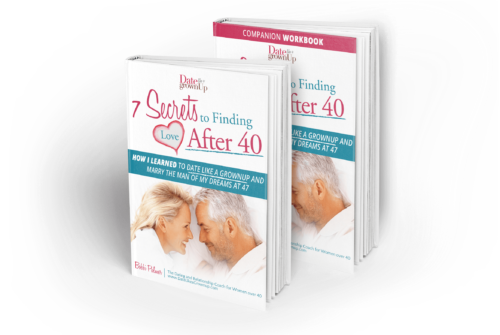 After reading “7 Secrets to Finding Love after 40 – How I Learned How to Date Like a Grownup and marry the Man of My Dreams at 47” you will know…in your heart…that you ready for your journey to grownup love. PLUS you will have very specific next steps to take to get there. This is a great book for finding meaningful love after 40. I love Bobbi’s “Four Commandments” in each section. They focus the information, and give you specific guidelines to follow. I love the way Bobbi uses the readers’ own life experience, showing her how to use the lessons she’s learned already in life to make her dreams come true. 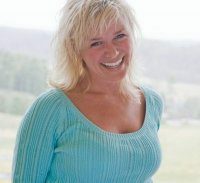 Having become a widow after twenty-five years of marriage, I was in desperate need of advice about the new world of dating. Bobbi Palmer came to my rescue. I think the one word that defines her philosophy is “kindness” — kindness to yourself and the guys you meet. Only then can you be open to dating successfully as a mature adult. And that’s what Bobbi does in this book, help you to successfully date, with expert advice, written exercises and actionable homework assignments. I just finished your eBook and what I need to course correct is there! I am ready to stop playing it so safe and play to win. I am ready to put my guard down and let the real me be seen. Are you ready to get out of your own way and have the loving relationship you’ve been dreaming of? Are you ready to take the next step to find love? You haven’t given up hope in finding the man of your dreams but you’re not sure how to find him. You’re tired of disappointing dates with the wrong men. You’re sick of trying to fight off depressing thoughts. You want to see how other women your age have found happiness. 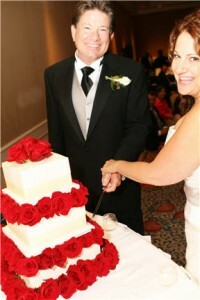 You want to feel love, affection and commitment from a true life partner. The real truth is that finding your happy, interesting, loving man isn’t about changing yourself…it’s just about being more of who you already are. My story will show you EXACTLY how to make the subtle, but totally necessary shifts that will allow you to invite the right man and the right relationship into your life … naturally and easily. Get this book and find the 'Mr. Worthy' of the super-woman that you truly are!!" You CAN hold on to your nice life and your already wonderful self while adding something extraordinary: a man who adores you and makes you his #1. Seriously, sometimes it’s as easy as you just being more YOU. I’m going to show you how I learned to do this, how it led me directly to the man I love and how you can do the very same thing. Take this step toward love. Download the PDF eBook to your mobile device or computer for easy access to my coaching and support. You can return as often as you like to focus on specific points throughout the book or read it cover to cover at your convenience. Be sure to download and print out the special workbook as well – it includes exercises, brainstorms, and worksheets to help you make those subtle but incredibly important shifts necessary to bring the love you want into your life. BOBBI, I'M ALMOST FINISHED WITH YOUR CONFESSIONS BOOK. I FEEL LIKE YOU SEE RIGHT INTO MY SOUL ON EVERY PAGE. I feel like I am YOU. So many similarities, it's freaking me out... in a good way. –Lisa H.